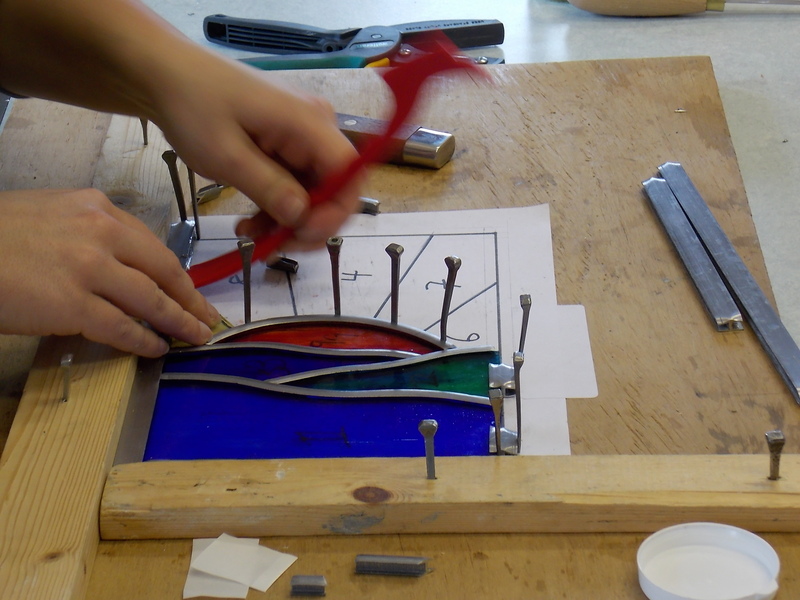 THIS WORKSHOP HAS ONE SPACE AVAILABLE. 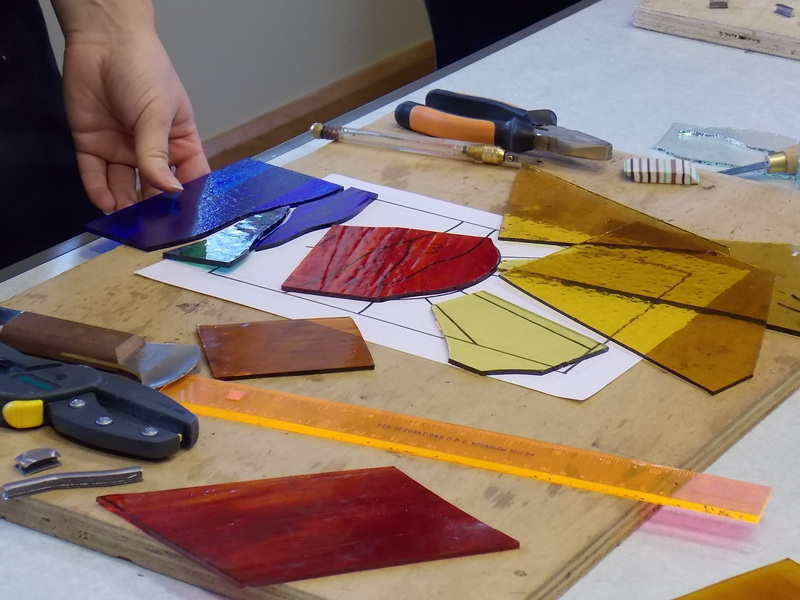 This foundation one day workshop in Traditional Stained Glass Lead Work gives you the opportunity to begin your understanding of the basic skills required to build your own leaded panel. 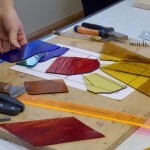 You will be creating a small sample panel, approximately A4 size with between 9 and 11 pieces of glass. Patterns are provided to help you on your way. You will be cementing your panel at the end of the day and it will be necessary to clean it off when you return home with a scrubbing brush – this should only take about 15 minutes. 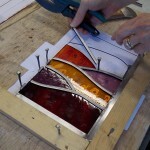 Open to students who have undertaken the one day Foundation in Copper Foil Technique. 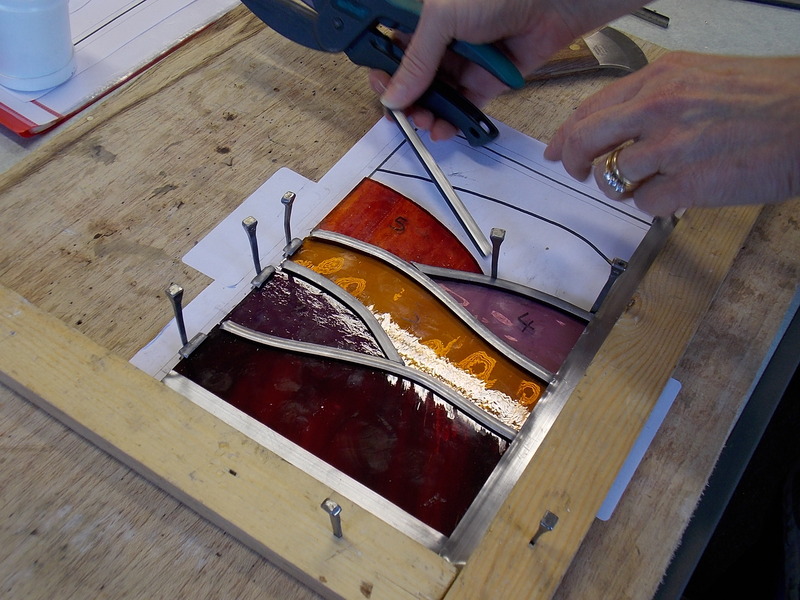 Fee is £170.00 which includes all materials and use of tools on the day. Its a full and busy day and you will need to bring an apron and your packed lunch. Maximum four students to enable you to have plenty of one to one support throughout the day. Day runs from 9.00am-5.00pm. 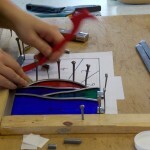 More information can be found on “Workshops” page.